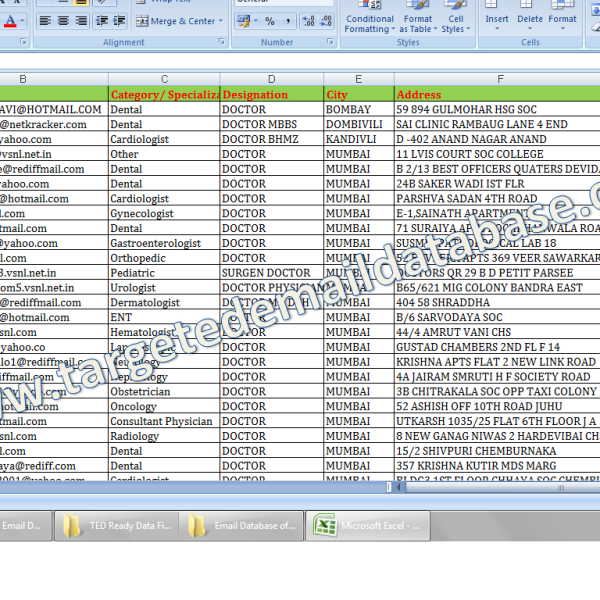 Email Database of Doctors is an Email Id List of Doctors & Medical Practitioners. 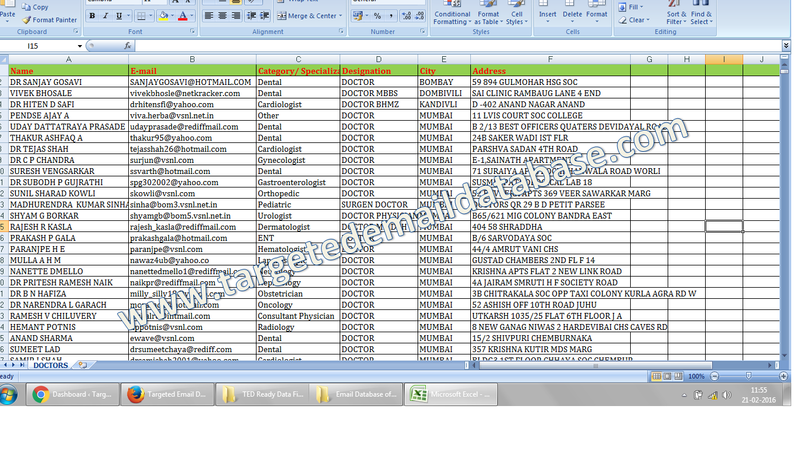 Details: Email Database of Doctors is an Email Id List of Doctors & Medical Practitioners. Fields Mentioned: Doctor Name, Email id, Clinic Name, Specialization, Professions, Designation, Address, Location etc (Check Samples for details). Usage: Extremely useful for Selling & Marketing of Products or Services related to Healthcare, Medicine or any Luxury product or Investment. Why to Use this data: It will help you to reach your Target audience of a particular Buying Capacity directly. Accuracy: Accuracy Rate 88% – 92%, last updated on January 2019. Payment Mode: Credit Card/ Debit Card, Online Transfer, NEFT, Cash deposit. Delivery: Instant File Download for Credit Card, Debit Card, Online Bank Transfer, NEFT. In Case of Cash Deposit, via Email as an attachment or Download link within 30 Minutes of payment.